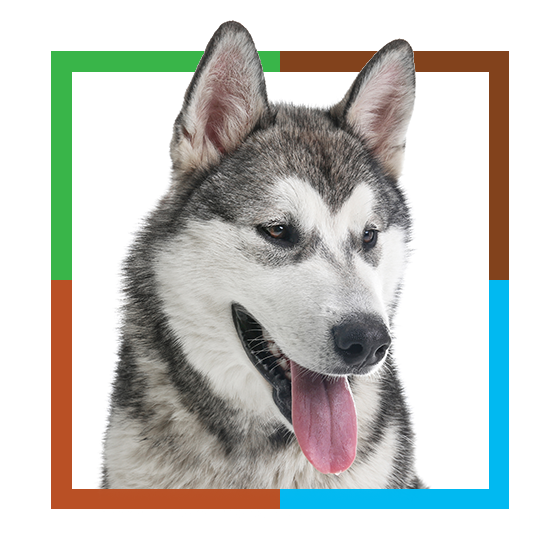 Animal Eye Exams In Maitland & Orlando - Tagline & Location | Animal Eye Associates, P.A. Is there a particular time or date that you are looking for? If You’re Concerned Something Is Wrong With Your Pet’s Eye, Schedule An Appointment At Our Animal Eye Clinic Today. As the Top Rated Local® veterinary ophthalmologists in Maitland and Orlando, Animal Eye Associates is passionate about providing comprehensive eye exams to animals of all species. We specialize in tear testing, intraocular pressure monitoring, and corneal staining to help identify eye problems in animals. Once we know the cause of your pet’s eye issues, we’ll recommend the most appropriate treatment solution, and answer any questions you may have. Schedule an appointment with our veterinarians today. If you live near Maitland or Orlando and you’re looking for a Top Rated Local® veterinary ophthalmologist, look no further than Animal Eye Associates. We offer three board-certified veterinary ophthalmologists at our clinic who can provide comprehensive eye exams to animals of all species. When you visit one of our offices in Florida, we’ll conduct a thorough examination of your pet’s eyes before recommending the best treatment solution for you. To learn more about general eye conditions or to schedule an appointment, contact our animal eye clinic today. When you visit our veterinary ophthalmologists, we’ll do everything we can to ensure your visit is comfortable. While we won’t ask your pet to read an eye chart, we will ask you a series of questions about your pet’s overall health and eye history. We may also ask you about your pet’s previous eye-related diagnoses, treatments, and any medications they may be taking. If you’re concerned that you will not be able to answer some of our questions regarding your pet’s recent ophthalmic history, you may want to request that your local veterinarian fill out a case summary form to send to our clinic. Tonometry – If a tear test isn’t enough to determine the health of your pet’s eye, we may recommend a tonometry. 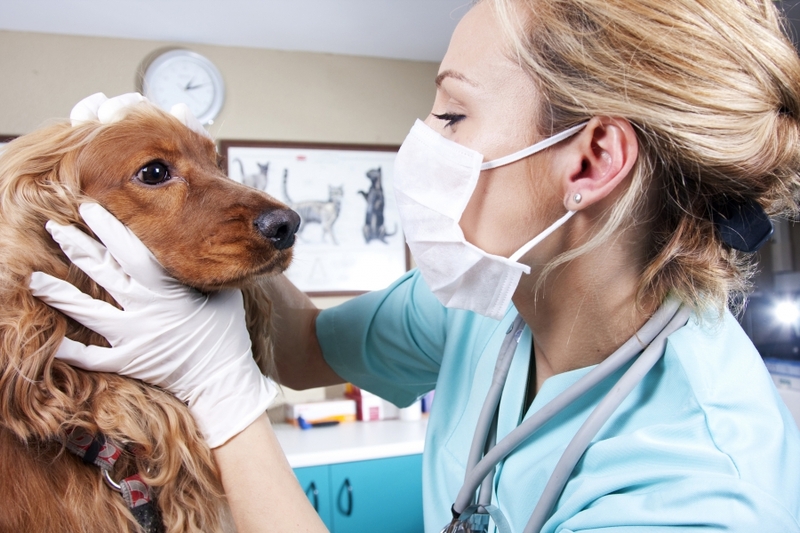 During this procedure, we will apply a few eyedrops to your pet’s eyes to help numb the area. Once numb, we will use a tonometer to measure the intraocular pressure in the eye. Tonometry is often used to test for glaucoma. Once the above two tests have been performed, your ophthalmologist will conduct a thorough ophthalmic exam of your pet’s eyes. It’s important to note that this exam is completely painless and is normally performed with the room lights dimmed, using specialized magnifying equipment and other light sources. Many pet owners ask us whether or not sedation is necessary for there pet, and the answer to this question is sometimes. Sedation is rarely necessary for an eye exam, and is avoided when possible. A muzzle may be placed on your pet at our staff’s discretion to make the exam safer for all of those involved. Animal Eye Associates has three board-certified veterinary ophthalmologists in Maitland and Orlando who provide comprehensive eye exams to animals of all species. The exam uses advanced equipment to evaluate structures of the eye. Procedures that may be done at the time of examination may include tear testing (schirmer tear test and tear film break-up time), intraocular pressure monitoring (tonometry) and corneal staining (fluorescein and rose bengal). Following examination, we will go over exam findings and thoroughly discuss any problems and treatment plan options. We are proud to offer animal eye care you will not find anywhere else. Make an appointment with our office today!